We are lucky to live in a country with so many freedoms and so many choices. On the heels of the presidential election, it seems even more pronounced in its symbolism of freedom. Some may not be happy with the current presidential candidate…but you did have the freedom to vote and make your own personal choice. There are ways to remind others to be proud of their American homeland. 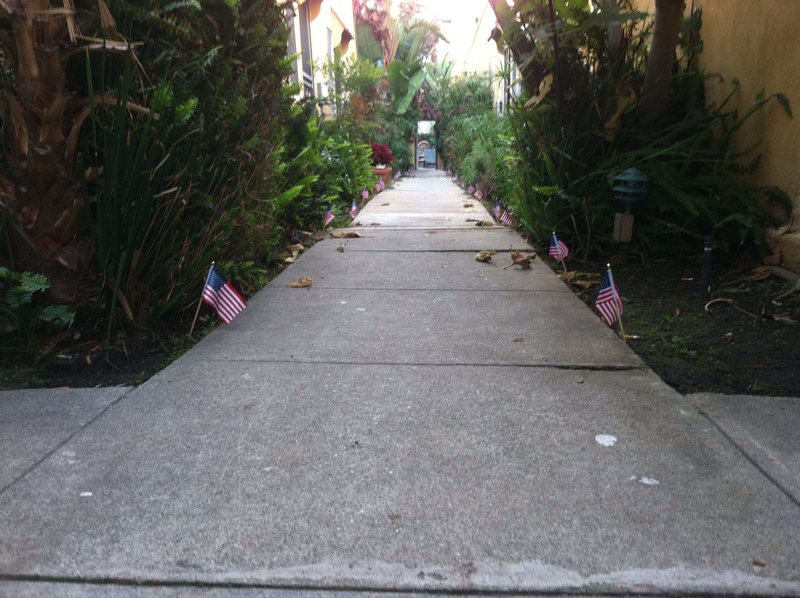 My little walkway of flags was a small showing of that. I just wanted to give a subtle reminder for us to stop to think how lucky we are to have a flag that represents such amazing possibilities of what we are able to aspire to be. Each and every one of us can decide what goals we want to meet and then have a plethora of opportunities to make all those dreams come true. Sometimes we might feel we have not been given a fair deal (particularly, any Romney voters right now); but also with freedom we must learn compromise and understanding. We can’t all have our own way at every possible moment. What doesn’t seem fair to some becomes huge victories and opportunities to do good things for others. The key is to stay united and find ways to work together for the good of all. “Division of troops” is not good in the military forces and it’s not good in government….Period!! 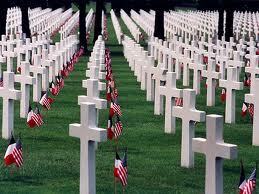 I would like to also take a moment to honor the men and women who have given their lives in battle for this country. I can’t imagine what it must be like to lose a family member while they are fighting on other lands to protect our freedom here. 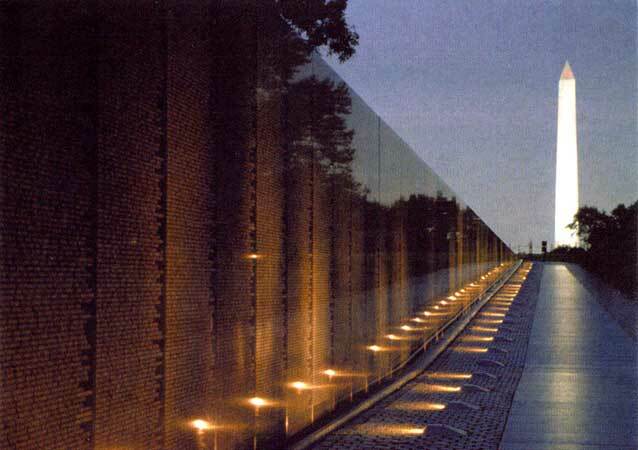 The United States seems to make great effort to build tributes to those that have lost their lives in combat; but it is such a small token for the huge price that is paid. So today, take the time to thank those that you know that are serving our country now or have served in previous times. Shake their hand, salute them or maybe just give them a big hug. Let them know that you are proud of them and appreciate their dedication and hard work. Maybe knock on the door of a wife or mother that is struggling to fill the void of the loss of the head of their household while they are in some other country and who has been gone for months now. Give them a little boost in their day…..they are also “serving” our country by their unselfish support of our troops. We are Americans and we are very lucky to live in this country. given their lives to keep us safe and free! Show your honor and respect for them. 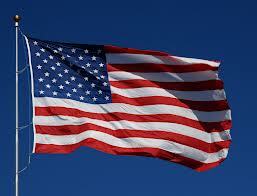 I pledge allegiance to the flag of the United States of America!